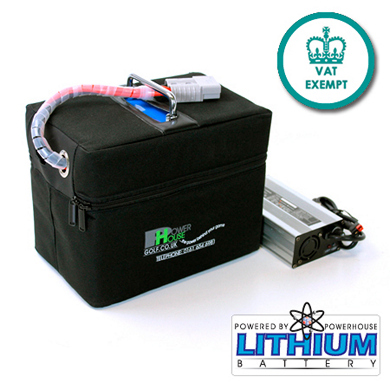 The 18-27 Hole (200A) Lithium Golf Buggy Battery is designed especially to fit within the battery bay of the Powerhouse Pro range of single seat Golf buggies but can also be used on all makes and models of single seat buggies using a 24V system. Simple modification to wiring may be required (Supplied). Now available With Battery capacity voltage display. Applications: Suitable for use with the Powerhouse Golf buggies.